A writer who is a poet tends to see things as metaphor. I am a writer/poet, and sometimes I drive myself crazy noticing a thing and knowing there is a delicious but elusive metaphor there, just waiting to be penned. Last week I travelled from my home island to the mainland, to visit a friend in the hospital. A newly-launched 144-car ferry is in service now – the Tokitae (“TOH-kit-TAY”), a Salish greeting meaning “nice day, pretty colors.” This is a state-of-the-art motor vessel, 360 feet of shiny paint, new signage, up-to-the-minute radar and bristles of communications antennae, with diesel engines deep inside that purr so quietly you don’t know you’ve cast off until you notice the dock receding in your rearview mirror. When the Tokitae reached the mainland and nosed into its berth, I watched two crewmen reach out for the mooring lines and loop them around the huge anvil-shaped cleats on the vessel. “Isn’t that interesting,” I thought. “Everything totally new, except for the ropes.” What was securing the vessel to the berth was old-fashioned weathered hemp rope, slightly frayed in places from hard work. I stared at the rope and its many layers: natural hemp strands wound into cord, cords twined together into thumb-sized ropes, then double strands of that rope braided into a round, unbreakable cable as thick as my wrist. I could feel one of those annoying metaphors nudging at my mind. Ah well, let it go – it was time to negotiate the ramp off the ferry, and head for the hospital. My friend was in the Intensive Care Unit, a state-of-the-art unit in a brand-new 13-story hospital. We were surrounded by technology, from the machines monitoring Mark and keeping him pain-free, to the cellphone that his wife, Effie, was reluctantly learning to navigate, and the WiFi computers in the family room that kept the two of them connected to email from well-wishers. And THERE was my metaphor: the mooring rope of sacred love connecting two people to the interwoven compassion of many others, strong enough to hold them tenderly in difficult moments from which they’d rather drift away. On a newly-minted Olympic class ferry, an ancient method still secures us to the shore of a home island. Amid all the newest and shiniest technology in a hospital ICU, it is still a most ancient skill that binds us to each other. How lovely that the relationships that are perhaps a bit worn with use are still strong, like the rope. There surrounded with the new technology, it’s those worn, long-term and lifetime connections that give comfort. Thank you — each ferry trip, I will pay attention to those connections! Thank you for your wise words and stories Cynthia! As always, your words take my breath away. This one is particularly special and beautiful. Thank you for the beauty of your words. Oh, my goodness. Perfect. Perfectly beautiful. Perfectly true. Thank you, Cynthia. Your words are as healing as they are imaginative, Cynthia. It is a true gift to read them. Thanks for sharing;story and love are the ties that bind us. Cynthia, beyond beautiful — and the perfect read to start my day. Blessings to you. Thank you for this. I sometimes feel so alone that it wonderful to be reminded of all those spiritual links I have with so many people in this world. Take good care. Since first meeting you several decades ago (we shall not say how many) I am constantly in awe of your “musings”. From sharing the deepest of internal insights to the voyages you take to the margins of many lives, you help keep me alive. Bless you Dearest Cynthia. Thank you for your wise and heartfelt reflections on all that connects us, binds us, and keeps us safely moored. Beautiful writing! Beautiful thoughts! Beautiful woman! 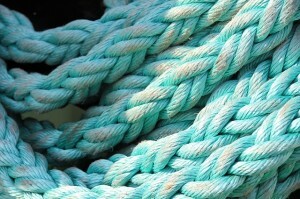 The mooring rope of sacred love— what an inspirational phrase. I love how you weave Island living and ferry riding with ICU experiences. Lovely, Cynthia. What a beautiful metaphor for the ties that bind us together in love. Thank you for sharing. I miss you in this part of the world but you musing reminds me how we are connected. Beautiful, Cynthia! Some of those ancient truths will never be replaced by something newer and slicker.